Sofa upholstery gets dirty, stained, smelly, and as germ laden as a handkerchief. 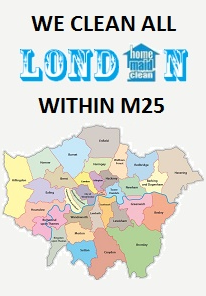 Home Maid Clean provides professional steam sofa cleaning everywhere in London within M25. ♦ Fabric ♦ Wool ♦ Denim ♦ Suede ♦ Velvet ♦ Vinyl ♦ Microfibre ♦ Silk ♦ Cotton ♦ Polyester ♦ Leather. 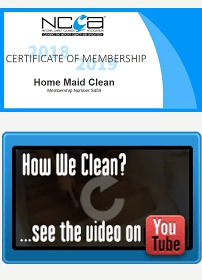 We steam clean and protect loungers, couches, sofas, chaises, foot stools, recliners, cushions, love-seats and mattresses using state-of-the-art resources to access troublesome areas. Able to detect early signs of fabric failure. As a mark of our skills we are often called out to dry out carpets that poorly trained cleaners from rival companies have left far too wet. 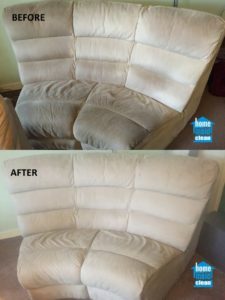 Home Maid Clean cleaning techniques ensure that your sofa will end up in great condition and we’ll take time to preserve your sofa’s structural integrity as well as preserving the fabric. Regular cleaning removes dust and dirt trapped in your sofa, and removes allergens such as dust mites and other organisms affecting those with respiratory conditions. 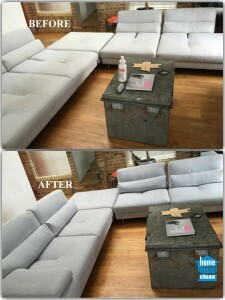 Cleaning your sofa often also revives the fabric, which can be rendered lacklustre by accumulated dust and dirt. Our Upholstery Care Technician carries out a pre-inspection. Checks are made to determine whether the fabric is suitable for steam cleaning. Additional checks identify items in need of special care. Heavily soiled areas are pre-treated and gently agitated prior to cleaning. We clean the whole sofa and move it in order to clean the back. We take care to ensure the floor and its coverings are undamaged. Depending on what’s found, our Upholstery Care Technician may recommend the application of Scotchgard™ stain protection. Stand back and admire your completely revived sofa! Home Maid Clean recommends the application of Scotchgard™ protection after your upholstery has been cleaned especially in homes with kids and pets. Scotchgard™ protects the colour and freshness of your upholstery, extending its life.